This is quickly becoming our best seller because it actually works! We get so much positive feedback from customers who can't believe how effective it is at helping relieve pain, whatever the cause. It's great to be able to give or treat yourself to a gift that is natural, smells gorgeous and actually helps the recipient (or you)It acts like a cuddle bringing great comfort. Try and you will be amazed at it's effectiveness. The Ouch! 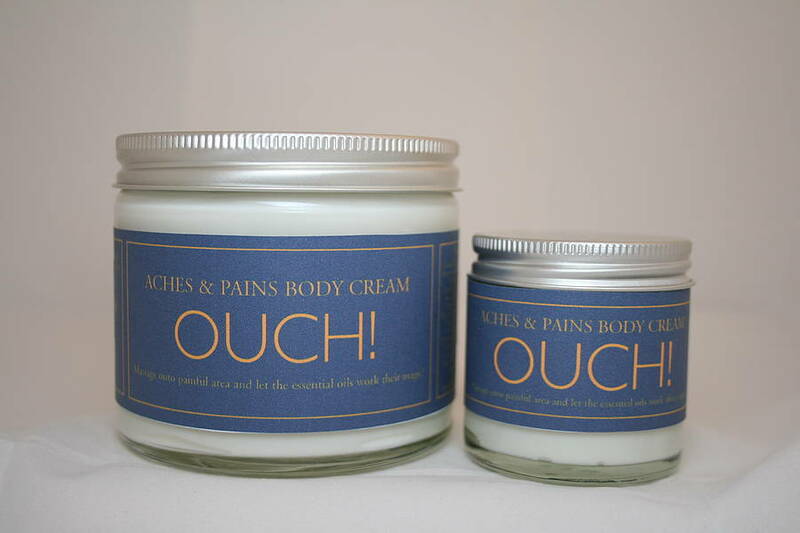 Aches and Pains Cream is available in 60 and 250mls. Free from Parabens (preservatives that have been linked to cancer) and Lanolin (which some people are unknowingly allergic to). 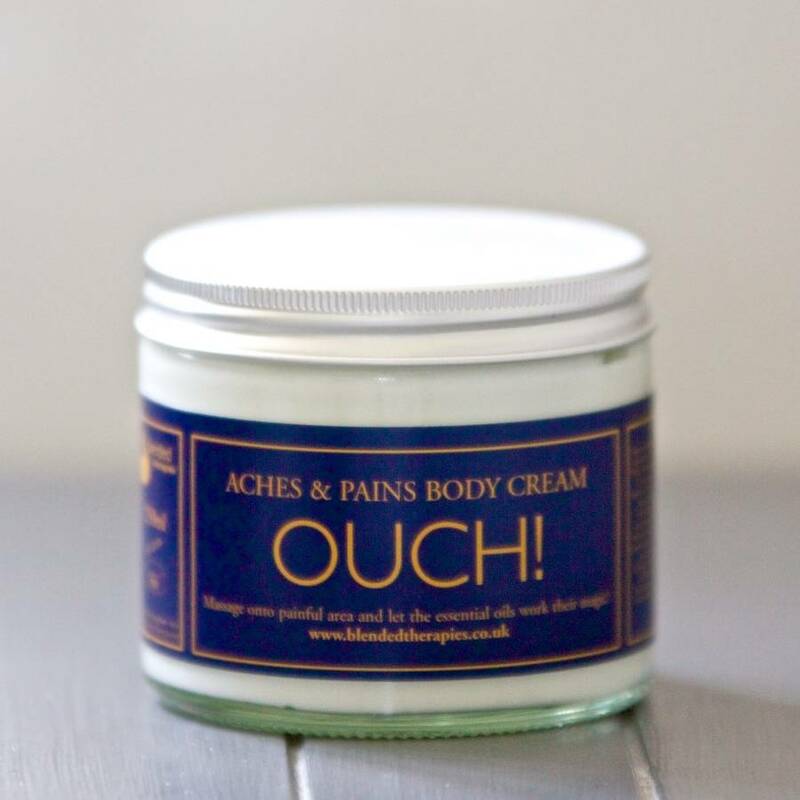 The Base Cream contains Sunflower Oil,Coconut Oil,Jojoba Oil,Vitamin E, Almond Oil and we add a blend of Lavender, Rosemary, Clary sage, Marjorum, Juniper, Peppermint, Myrtle, Lemongrass, Ginger, Chamomile, Basil, Tangerine, Sweet Orange and Clove.The essential oils blended for Ouch! all work well together to target the causes of pain. 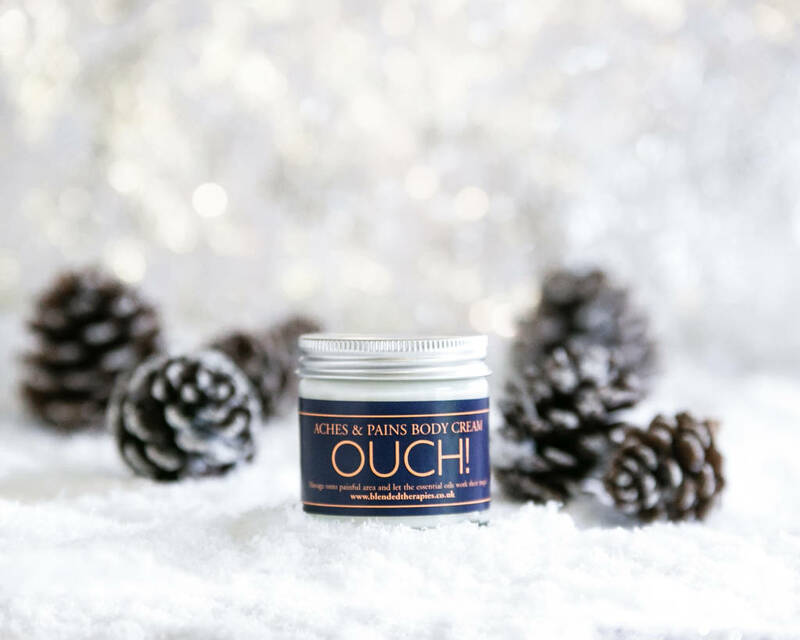 Lavender is a natural pain killer, Clove, Ginger and Peppermint help to bring blood to the affected area bringing nutrients and oxygen and Juniper gets rid of toxins which play a part in the cause of pain. Camomile helps reduce swelling. 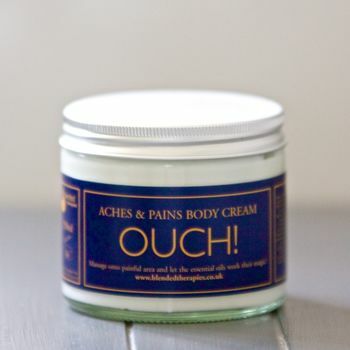 Just massage the cream into the painful area and wait to feel the warmth and comfort it will bring.Ideally you should use the cream at least twice a day but it can be used whenever you need to. 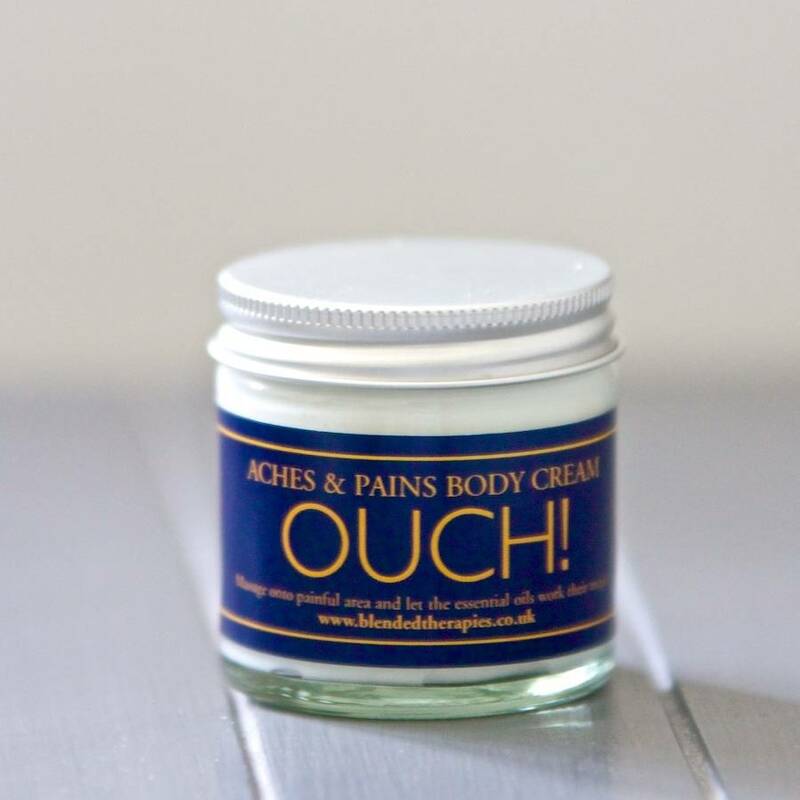 Works particularly well on arthritic pain and is effective for headaches, period pain, toothache and much more. This product is dispatched to you by Blended Therapies. Mum To Be Sick Stop!